Kindle Christian Romance Deals for Saturday! 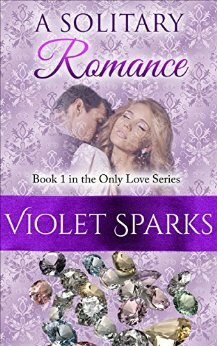 *A Solitary Romance: Book 1 in the Only Love Series (Deal, Not Free) by Violet Sparks. Price: $0.99. Genre: Christian Romance Deal, Sponsor, Clean & Wholesome Romance, Contemporary Romance, Inspirational. 231 pages. ASIN: B01EZC8LB8. *A Good Chance (A Series of Chances Book 5) by Diane Lil Adams. Price: Free. Genre: Christian Romance, Inspirational. Rated: 4.7 stars on 21 Reviews. 292 pages. ASIN: B00YDXIP0M. *Justin (Three Brothers Lodge Trilogy #1) by Morris Fenris. Price: Free. Genre: Christian Romance, Contemporary, Women’s Fiction. Rated: 4.8 stars on 9 Reviews. 217 pages. ASIN: B017Y41INW. Fairfield Amish Romance: Life Lessons Boxed Set by Susan Vail. Price: Free. Genre: Christian Romance, Amish, Inspirational. Rated: 5 stars on 4 Reviews. 231 pages. ASIN: B0165S8HP0. Posted on June 25, 2016 June 25, 2016 Author KibetCategories Free Kindle Christian RomanceLeave a comment on Kindle Christian Romance Deals for Saturday! Kindle Christian Romance Deals for Monday! Posted on March 21, 2016 Author KibetCategories Free Kindle Christian RomanceLeave a comment on Kindle Christian Romance Deals for Monday! $1 Kindle Christian Romance Deal, 4 Free Kindle Christian Romances for Wednesday! *Candlelight Kisses: Book 1 in the Almost an Angel Series (Deal, Not Free) by Jennifer Youngblood, Sandra Poole. Price: $0.99. Genre: Christian Romance Deal, Sponsor, Contemporary Romance. Rated: 5 stars on 4 Reviews. 161 pages. ASIN: B01BZIP9OM. Reviewers love it: Delightful! Reading this felt like a tantalizing episode of a TV series! I really enjoyed this book! A fun, clean romance that keeps you entertained! I am eagerly anticipating the next one in the series! *Fever Quest: A Clean Historical Mystery set in England and India (The Isabella Rockwell Trilogy Book 2) by Hannah Parry. Price: Free. Genre: Not Christian Just Clean Historical Fiction, Sponsor, Clean, Europe, Mysteries & Detectives, European, Mystery, Thriller & Suspense. Rated: 4.5 stars on 2 Reviews. 284 pages. ASIN: B00RKUFTBS. Reviewers love it: This book is set in India with vivid description of land, people and places. Well researched and compelling! Action, loyalty and friendships earned and challenged! I loved it, couldn’t put it down and looking for the next book! Redeemed Hearts by Cathy Marie Hake. Price: Free. Genre: Christian Romance, Contemporary, Romance. Rated: 5 stars on 4 Reviews. 176 pages. ASIN: B00CKD91OG. Posted on March 2, 2016 Author KibetCategories $1 Kindle Christian Romance Deal, Free Kindle Christian RomanceTags $1 Kindle Christian Romance Deal!, Free Christian RomanceLeave a comment on $1 Kindle Christian Romance Deal, 4 Free Kindle Christian Romances for Wednesday!